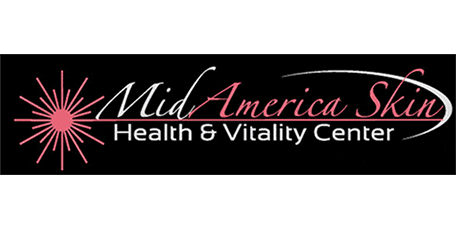 At the MidAmerica Skin Health & Vitality Center, Dr. Muccini offers patients throughout Chesterfield and the St. Louis area access to various cosmetic procedures designed to improve the appearance and feel of skin. Dr. Muccini utilizes the latest in radiofrequency skin tightening to help patients renew and restore the skin of the face. What Does Pellevé® RF Skin Tightening Involve? Pellevé® radiofrequency skin tightening treatments for the face can assist with tightening sagging skin and reducing the appearance of wrinkles. Radiofrequency energy is directed into the skin via a handheld electrode wand. With this energy, the deep layers of the dermis are heated, which causes the body to increase elastin and collagen production. The effects are frequently noticeable early and the procedure is non-invasive. The Pellevé® radiofrequency skin tightening procedure is designed to help tighten facial skin gradually over time. Each treatment lasts roughly 30 to 40 minutes and results in a warm sensation being generated in the treatment area. Although there may be some redness following treatment, patients are typically able to return to their normal activities immediately. Normally, the treatment program will consist of 3 sessions, depending on the severity of the condition being addressed. When laxity is more serious more treatments will be required. Facial radiofrequency skin tightening often provides rapid results. Patients can leave the office with more youthful looking skin after a few treatments. Results are most prominent after the full round of RF sessions. How long the results last will change from patient to patient and depend on the patient’s age, skin condition, and other physical and lifestyle factors. Normally, results can last from around 6 to 12 months and possibly longer. Longer lasting results are generally achieved with a prolonged treatment program and among patients who are between the ages of 30 and 50. Generally, older patients who are candidates for the treatment will need more frequent follow up maintenance sessions. To determine if facial radiofrequency skin tightening is appropriate, patients should contact the office and schedule a consultation.